The always readable Dan Cohen discusses funding for digitization of public domain books. Hard not to agree – I think Harvard-Yale-Princeton (or, for that matter, Harvard alone) should just pony up the money and do it. The resulting archive would be a boon to humanities research and researchers all over the world, would yield immense dividends in the form of research and study activity for decades, and would give Harvard a signal project like that courseware project down the river, especially given the recent kvetching about the size of the Harvard endowment and the lack of visible largesse on the expense side. This entry was posted in Academically speaking on May 30, 2008 by Espen. Bruce Schneier, the world’s leading authority on security, writes well about why we accept signatures by fax – noting that it works because it is done in context, everyone understands how insecure it is (except in the relatively rare instances when they don’t.) One thing is that we tend to think of new technologies in terms of old technologies: The physical signature can easily be faked with a fax, even easier when we start to use scanned PDFs – in fact, gluing in a copied signature becomes the standard way of doing things for most people. I am currently thinking about security in a next-generation employee computing setup, where corporate infrastructure has retreated behind a browser and the end user can buy whatever he or she desires – be it a Mac or PC, laptop or desktop, cell phone or public terminal. Every user comes in via the public Internet, even if he or she is physically sitting right next to the server park. From a security standpoint, this is actually a simplification, much as you simplify PC provisioning when you switch everyone to a laptop. Sure, many of the users don’t need a laptop, and a laptop is more expensive than a desktop. 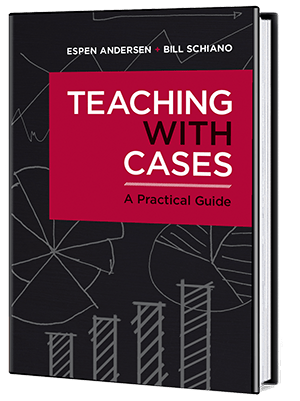 But differentiation has its costs, too. And it is much easier to make a desktop out of a laptop – in essence, all you need to do is sit still – than it is to to do it the other way. If you move to an architecture with corporate infrastructure and personal, private terminals, you remove the inside-or-outside-the-moat distinction companies often naively use as their main security barrier. Instead you must verify everyone’s identity in terms of the information and functionality they can have access to. You need to specify this as a very granular level, and will need a well defined hierarchy of access rules. You will also, like Wikipedia, need to have a way to track who has done what where, and make it easy to reverse whatever changes has been done, should it prove necessary. I am less certain that you need much of a standard for what should run on the clients themselves – surely we have progressed to a point now (or will in the near future) where end users can take responsibility for keeping their own technology’s reasonably updated and secure? We probably need to rethink security in terms of consequence management, in the sense that we need to make the consequences of poor security become apparent to the end user. The analogy is to car safety – for all the nagging about putting on your seatbelt and monitoring speeding, nothing would reduce deaths in traffic as much as a mandatory large spike sticking out of the steering wheel, instantly impaling the driver should he or she crash or suddenly brake. This entry was posted in CIO corner, Digital reflections, The thoughtful manager on May 29, 2008 by Espen. New essay in ACM Ubiquity: Scarce Resources in Computing, about how we adapt our use and organization of information technology around what at any point is the scarce resource. This entry was posted in CIO corner, Digital reflections, The thoughtful manager on May 27, 2008 by Espen. I don’t normally like collections of pictures with commentary, but this Wired collection of beautiful Bridges provided a nice break. This entry was posted in Amazing on May 27, 2008 by Espen. 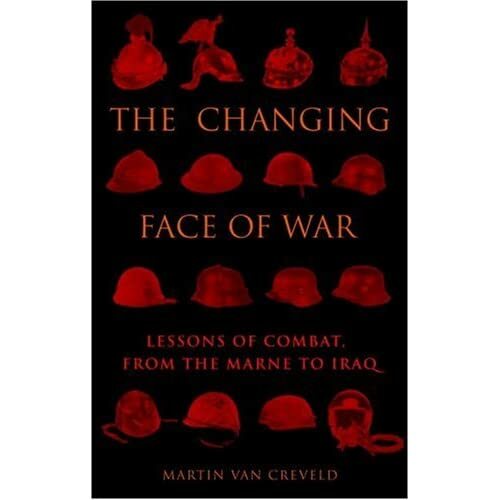 Martin van Creveld gained fame for The Transformation of War , a book that should have been read by the USA before venturing into Iraq (see previous review). In this surprisingly succinct volume, he summarizes the changes in thinking about warfare "from Marne to Iraq", showing how war has changed from something conducted in a short and contained spurts by an army via the "total war" first voiced by Ludendorff to today’s prolonged insurgencies, where the perpetrators blend back into the general population and advanced weapons fired from afar only can make the situation worse. van Creveld divides war into two main phases: Before and after the atom bomb. After the atom bomb, total war was no longer possible, since it would mean mutual destruction. Instead, war has (for the most part) become guerilla war, where a militarily equipped power is battling a much weaker enemy, and, because the enemy is weak, become weak themselves. There is almost no instances military powers successfully fighting insurgents – though since the history of fighting insurgencies are largely written by the losers, who argue that they could have won if not hindered by politicians, the press or lack of resources. To fight an insurgency, the power in question must be legal, i.e., treat the insurgency like a criminal activity rather than a war (much as the British did in Northern Ireland, where they, incidentally, had a local police force and spoke the language.) Either that (which takes a lot of patience) or they must use cruelly applied force, with openness and without apology (as Hafez Assad did in Syria.) Trying to fight the war from a distance leads to a quagmire, but going in to fight the insurgents with their own means leads to losses and loses the war on the home front. van Creveld offers few conclusions, aside from patience, people on the ground and good intelligence, all of which are hard to acquire and maintain. Otherwise, the insurgents will eventually win, if only because the military powers’ only way of winning is not participating. This entry was posted in History, Reading on May 25, 2008 by Espen. Mark Seal has a great article in Wired about how McLaren got hold of Ferrari’s designs and the twists and turns that followed. What blows my mind is the size of the budgets these guys are willing to throw away. A company like McLaren spends a lot of money and develops technology that eventually goes into production cars (at least, that’s the theory), but with the hundreds of millions spent here, how can anyone recuperate it? Ferrari, at least, has a brand of car to sell, McLaren cooperates with Mercedes, but it still looks like rich man’s game to me. Anyway, an entertaining story, showing that you better treat your employees right (how could Ferrari management not react before their chief mechanic had spilled the beans?) and do your own scanning if you are hoping to avoid betrayal or getting caught betraying. This entry was posted in Business as unusual, Reading, The thoughtful manager on May 25, 2008 by Espen. I liked the secondhand store card as well. And Kevin Mitnick’s, though his exploits before going legit were rather reprehensible. This entry was posted in Humor, The thoughtful manager on May 22, 2008 by Espen.